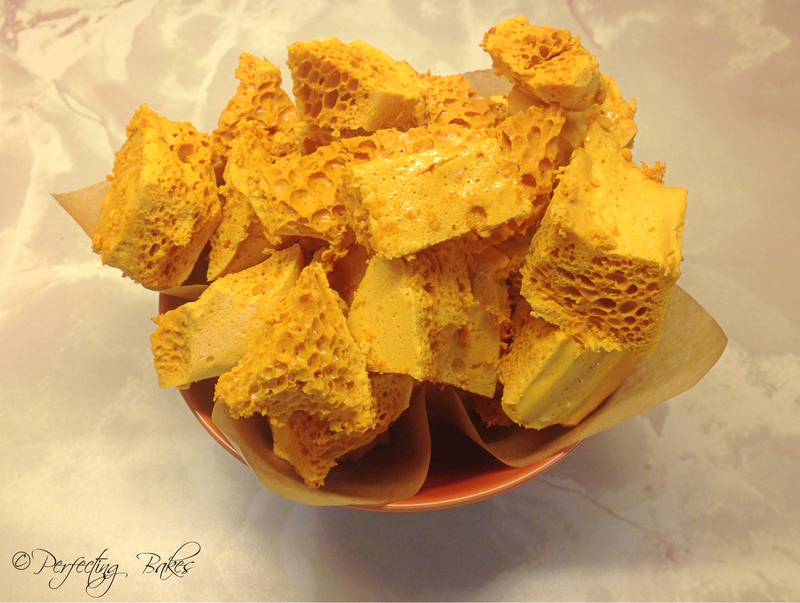 So after reading a few recipes to do with Cinder Toffee, Honeycomb, Hokey Pokey or whatever you would like to call this golden toffee I decided that I would give it ago. 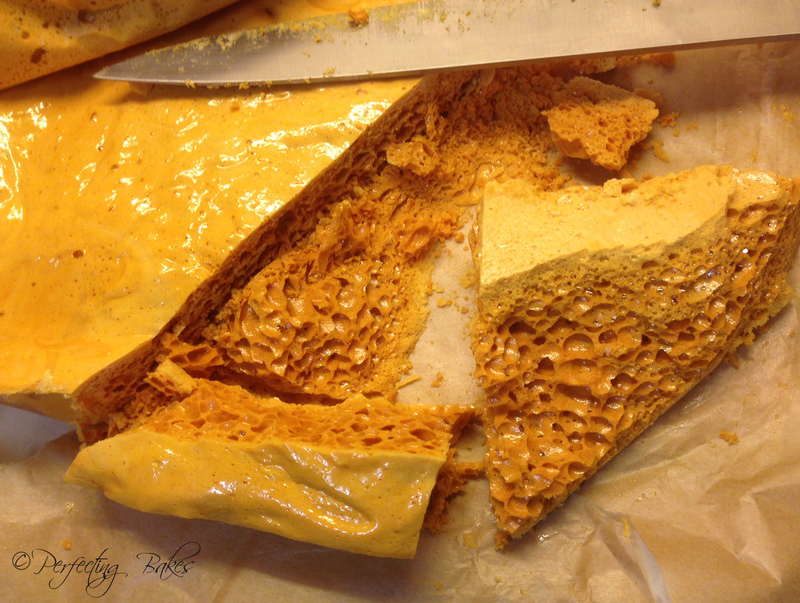 The first honeycomb I made was too chewy and you didn’t get that crunch that you would expect from your first bite, the next batch had that classic crunch but was bitter and needed more sugar. So after those attempts and comparing the two I decide to use my own measurements and ingredients omitting the butter, adding more sugar and using glucose and golden syrup… It was third time lucky! 1. Grease and line a 23cm (9 inch) square cake tin with oil and greaseproof paper, then lightly oil the greaseproof paper again. 2. 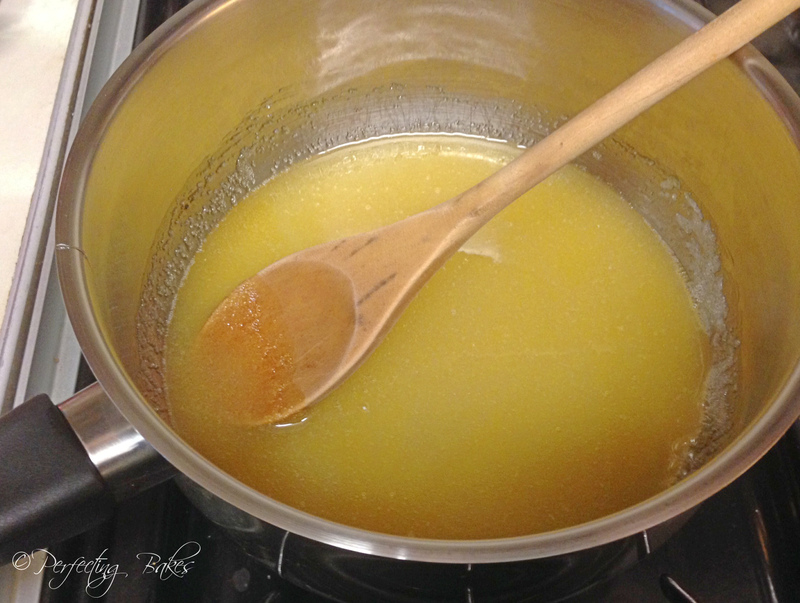 Place the sugar into a large heavy-based saucepan along with the liquid glucose, golden syrup and tablespoon of water. 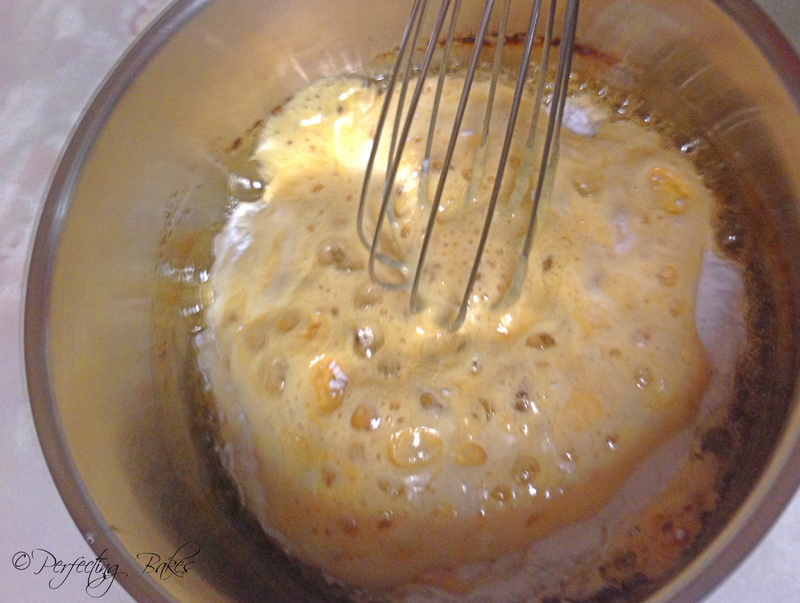 Place over a low heat and stir gently until the sugar has dissolved. 3. 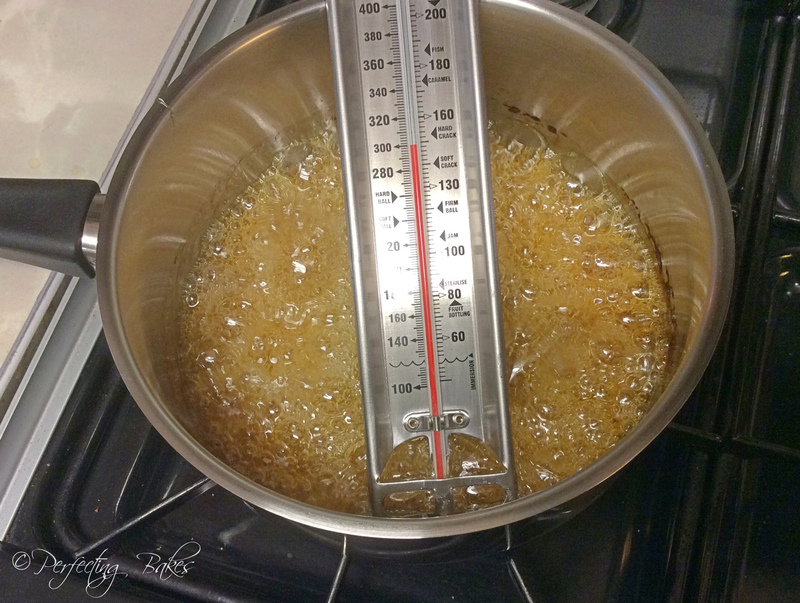 Bring to the boil and cook without stirring, for about 5 minutes checking your thermometer until it has reached 145c and the mixture turns a deep, golden looking caramel. 4. Remove the saucepan from the heat and quickly stir the bicarbonate of soda thoroughly, using a balloon whisk – this will cause the mixture to foam up in the saucepan. Quickly pout this into your prepared cake tin while it is still foaming. 5. Leave the cinder toffee to cool, this should take 1-2 hours. Once it has set carefully remove from the tin and peel away the baking paper. 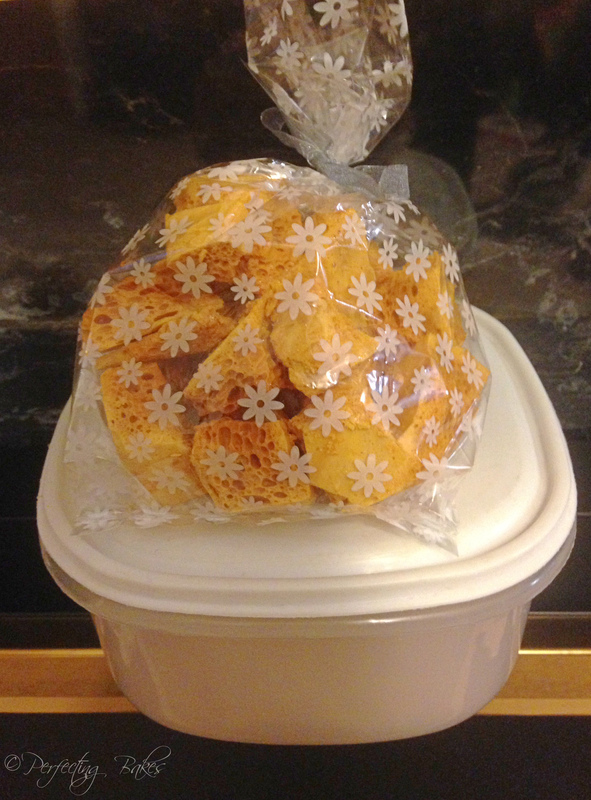 At this stage if you wanted to cover the top of your cinder toffee in chocolate I would do so now, if not get breaking this golden toffee up ready for eating or putting into cellophane bags for gifts for someone. To break up the toffee I would use a sharp knife to break it into chunks – you won’t get perfect little squares but I think that the different size shards it shatters into adds to that homemade look. 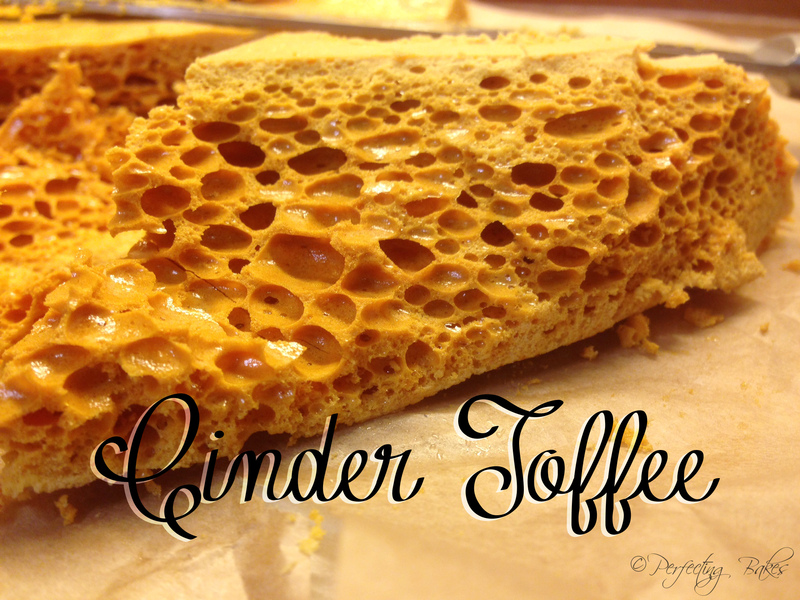 I took some of the cinder toffee round to my friends as he had tried the very first batch, and this was a vast improvement and both of his parents liked it too. The only thing he said was maybe more sugar, but I’m thinking he’s got a sweet tooth, I would probably go for covering it in chocolate.